If you were to summarise Deerhunter’s output of the last decade, you could perhaps – not to do it a disservice – boil it down to one core idea: Deerhunter are a reactive band. Their most recent studio record, Fading Frontier – a glossy AM radio rock record by all accounts – is a reaction to its no-fi garage rock predecessor. Monomania. Even Fading Frontier was followed up with a low key, avant-garde release Double Dream of Spring. Ultimately it’s this level of astuteness that sets them apart from their peers. 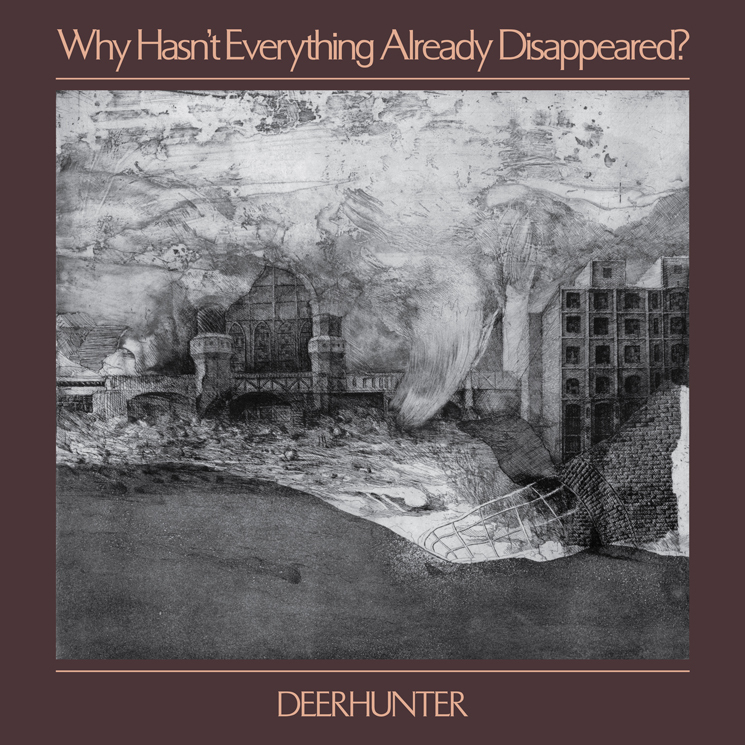 ‘Why make this album in an era when attention spans have been reduced to next to nothing, and the tactile grains of making music have been further reduced to algorithms and projected playlist placement?’ You could accuse the band of fairly glum naval gazing, but it soon transpires that as well as reacting to themselves, here Deerhunter are reacting to everything around them. Produced by Cate Le Bon in Marfa, a small desert town in Texas. Le Bon’s fingerpints are all over the record – her brittle, unsaturated guitar sound, the little earworms that litter her own record in unexpected places are all here. It happily also contains some of Cox’s best songwriting, and perhaps, with the possible exception of Halcyon Digest, assimilates everything the band do very well best. ‘No-one’s Sleeping’ marries classic Kinksian songwriting with the driving Krautrock breakdown that made songs like ‘Nothing Ever Happens’ so captivating. Lead single ‘Death In Midsummer’ is also among some of their best work – a song in which Cox shamanically appropriates the language of the Christian Right to evoke an apocalypse as imagined by Alejandro Jodorowsky. Cox has remarked that the uncertainty of the world at present has aligned with his general sense of unease, and the scattershot lyrics really reflect this: vaguely political, poetic ruminations that intrude on sleepless nights. The first five songs on the record are stunning in their emotional impact and musical scope – ‘Detournement‘ – an odd John Carpenter inspired musical piece with a monologue is the only real speedbump in a record that is otherwise impeccable in its sonic and thematic threads. ‘Tarnung’ is a haunting instrumental layered in brass that wouldn’t sound out of place on the second side of ‘Low’. The lovelorn ‘Plains’, a paean to a man out of place and out of time, shakes off its blues with a disco-infused shuffle. ‘Nocturne and ‘Greenpoint Gothic’ utilize the Carpenter style synthesizers to scintillating effect. Perhaps the largest emotional punch comes from centre-piece ‘What Happens To People’- Cox sounds at his most crestfallen here. It succinctly addresses the fixation with movement and reaction that is all over the record. Perhaps the plurality of the way we consume media has denied Cox the reactiveness that he has lamented and talked about at length around the release of WHEAD?, but in the context of Deerhunter’s catalogue it takes 15 years of oscillating and condenses everything that makes this band great into about 40 minutes. On those terms, it’s absolutely essential. Why Hasn’t Everything Already Disappeared is released on 18th January through 4AD.